Everyone has their own moments of unfiltered madness – an inappropriate comment blurted out at a party, or an insensitive reaction to bad news. For Tom Binns, his “little devil”, as he calls it, pushes him to always look for the funny – and it’s not the appropriate response. This is a hilarious hour of laugh out loud tales of Tom’s “little devil” taking charge. To hear the unfiltered, inappropriate responses of such a sharp comic mind is extremely entertaining. These aren’t just examples of him being rude or arrogant, which would render the entire show completely dull and self-important. Instead, the audience laps up being in the presence of a man so bold as to say the funny thing first, and then to laugh and cringe at the inevitable fallout for Tom himself. We hear about how this kind of humour runs in Tom’s family, how it connects him with his wife, how it helps him and those around him deal with pain and heartache. The stories he tells are both heartwarming and amusing, with the audience in a constant state of joy, rolling into laugh after laugh. Also on the show’s billing, two of Binns’ beloved characters. First up: Sunderland psychic, Ian D Montfort. After half an hour or so of measured, warm and expert stand-up, the camp behemoth of mirth that is D Montfort cavorting around the audience is a brilliant change of pace. Binns’ engagement with the audience here is brilliant, and never mean or embarrassing. 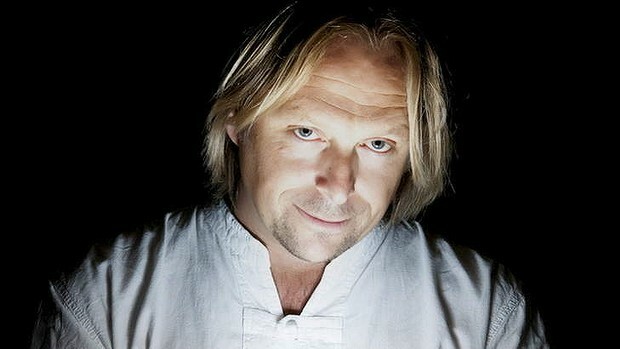 Next up is, for me, what puts this show into five-star territory: hospital radio DJ Ivan Brackenbury. This astounding character from Binns indulges the “little devil” theme as a DJ who plays the inappropriate song, or puts his foot in his mouth. It’s truly amazing to see Binns hit the nail on the head time after time with this character – and the audience here love him too. In this show you get three acts for the price of one, as Binns brings the house down with his immensely entertaining characters. In a sea of brilliant comedy available in the Pleasance Courtyard, Tom Binns is the captain of a luxury yacht, beckoning you from the deck to join the party.